Situated at the junction of Marsh Hall Lane and ‘The Village’ in the centre of Thurstonland approximately 150 yards from the village school. The period commemorated is 1914 – 1919 and 1939 – 1945. 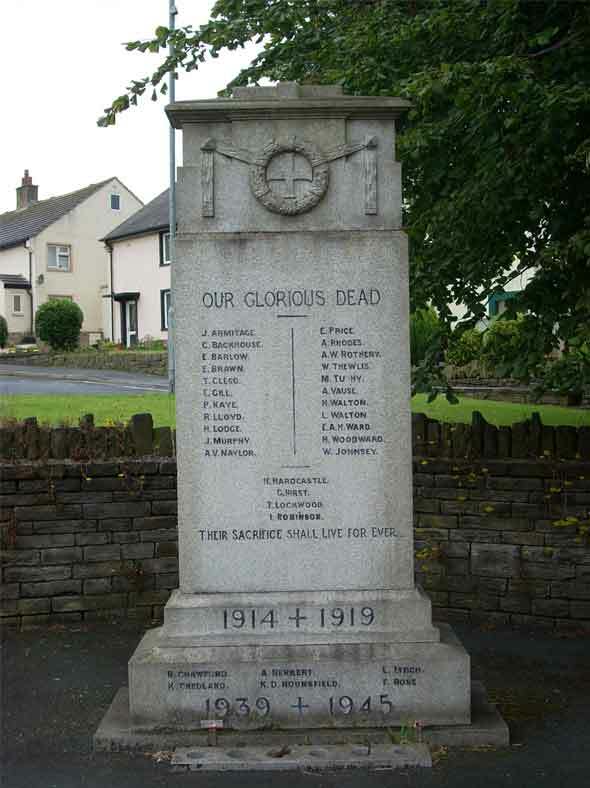 Description - this is a stone built monument standing approximately 15’ in height with a wreath at the top, set in a walled area and surrounded by floral decorations. 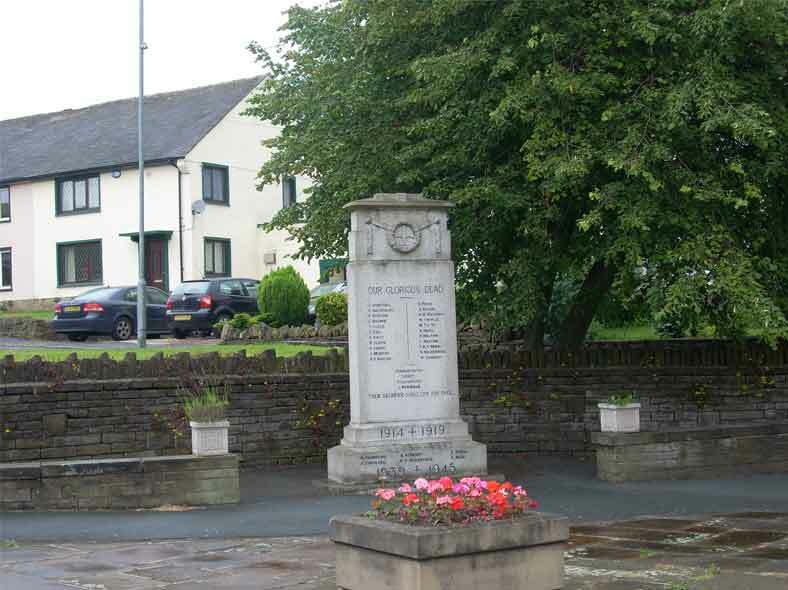 The marker represents the location of the war memorial in Thurstonland.